Special Rapporteur on the promotion and protection of human rights and fundamental freedoms while countering terrorism, and the Working Group on Arbitrary Detention. 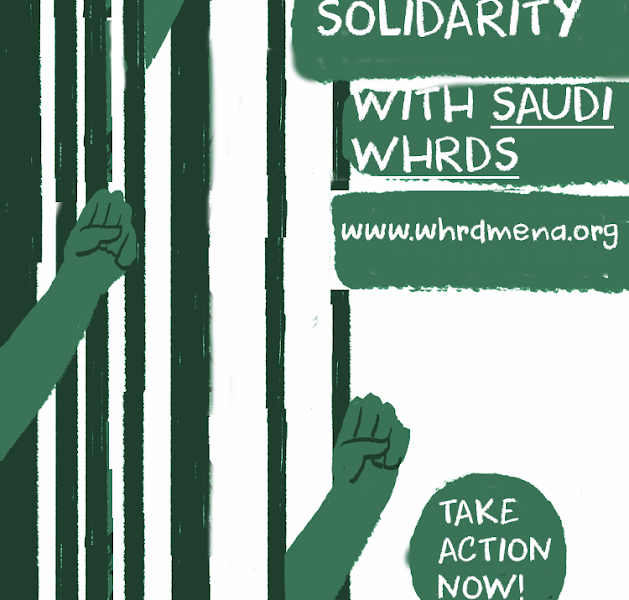 We, the undersigned, women human rights organizations, activists and human right defenders from the Arab region and Maghreb, would like to express our concern and fear over the recent crackdown in Saudi Arabia and Egypt. In Saudi Arabia, women human rights defenders who were arrested on 15 May 2018 are still behind bars, without trial and with no legal grounds for their detention. In Egypt, women human rights defenders continue to be harassed legally and judicially, which includes periodic summons. The authorities continue to extend the detention of woman human rights defender Amal Fathy for speaking out against harassment.Since 15 May 2018, Saudi authorities have arrested at least 12 women human rights defenders (WHRDs) whose work focuses prominently on reclaiming women’s right to drive, advocating for the end of the discriminatory male guardianship system and demanding the protection of women from all forms of violence. The WHRDs were arrested a few weeks before the lifting of the driving ban which took place on 24 June. Some of the detained WHRDs have been identified as: Loujain Al Hathloul, Eman Al-Nafjan, Aziza Al-Yousef, Nouf Abdul Aziz, Mayaa Al-Zahrani and recently Hatton Al-Fassi.